The LG V20 is a remarkable device which has been appreciated across the regions due to its excellent functionality and dual rear camera setup. 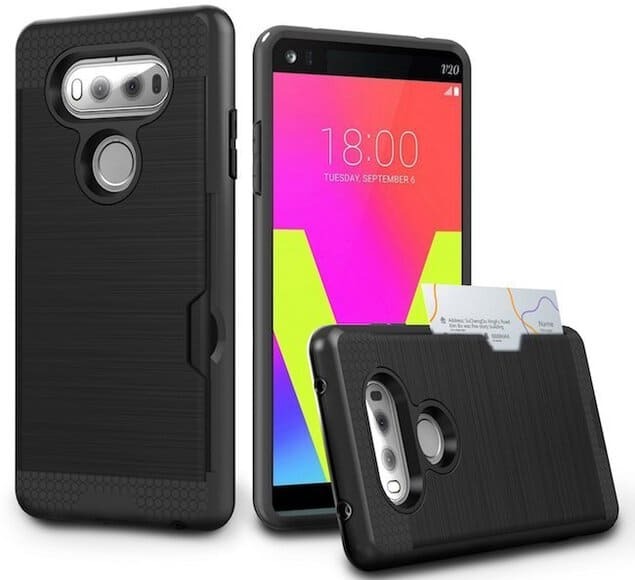 LG V20 is already known for its durability and has passed the military level drop tests, but still we recommend our viewers to buy a LG V20 case if they have this phone because additional security is never harmful and at the same time the case gives you a chance to change the look of your phone. 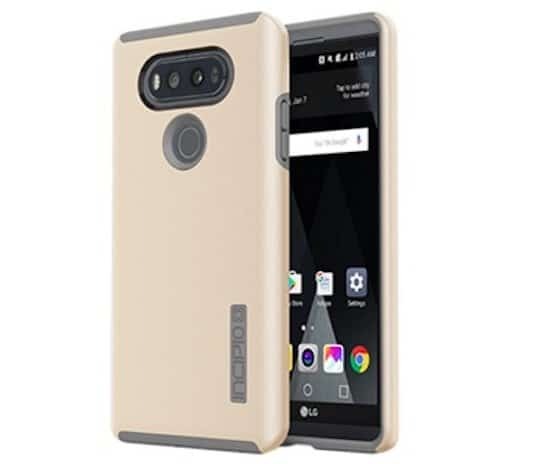 Here in this article we have listed some beautiful and trustworthy best LG V20 cases that come at a reasonable price and offers satisfactory protection. 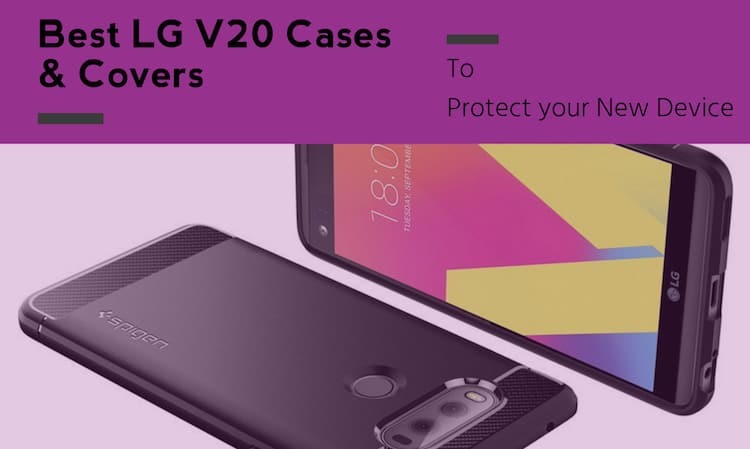 So, without wasting further time, let’s have a look at all the best LG V20 that we believe provide optimum safety and add charm to your new shiny device. 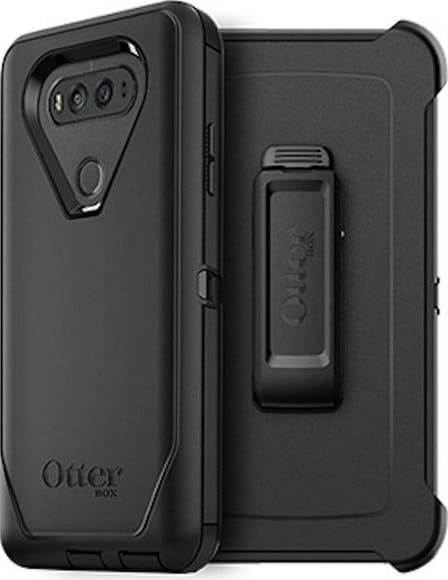 OtterBox Defender is a well-known brand for their durability and the case they have built for LG V20 is not an exception. It has an in-built screen protector that covers the entire screen. The outer cover is tough and keeps your phone safe from dust and avoids unwanted damage in the case of accidental falls. The case comes with a holster which can be clipped into the waist to provide safe and easy transportation. These highly durable cases are made of a unique hybrid material named FlexShock which has the ability to absorb and drive the force back of sudden impacts. 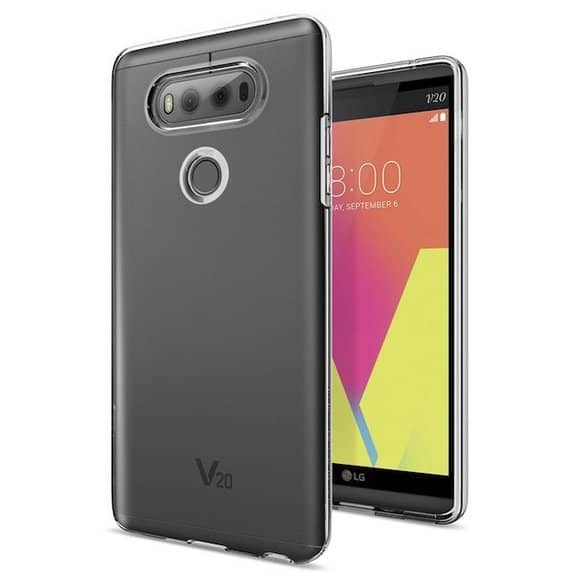 The design of the this LG V20 case is simple but sleek diamond pattern on the back side attract a lot and provides good grip with a single hand. The case has precise cutouts that provide full access to ports and features. 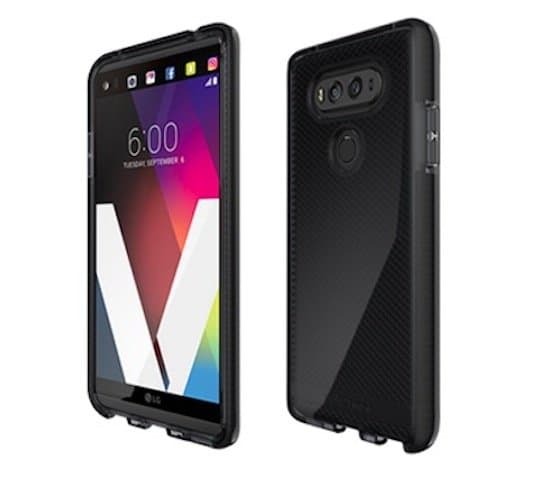 This case has an innovative design and provides a dual layer of protection to your V20. The outer shell of the case is hard to avoid scratches and the shock absorbing inner layer is soft which keeps your phone undamaged in the situation of a sudden fall. The case is nicely placed cutouts and features covers for volume rocker and power button. The case is thin and light weighted so adds minimal bulk to your phone. The Pleson Crystal Clear LG V20 Case is cheaper than the above mentioned cases and provided limited protection, but this case also gives you the chance to showcase the beauty of your LG V20 as it is fully transparent. The case is well designed and provides good grip over the phone and reduces the fingerprint smudges. It is light, highly flexible and feature nice cutouts to use ports and features. It is not a wallet shaped case, but has card slot on the back to hold credit or debit card, ID proof or even small amount of cash. The case is strongly built and provide good protection from drops and shocks. The brushed back panel provides good grip and precious cutouts give access to ports and features. The case is thin and adds minimal bulk to your phone. 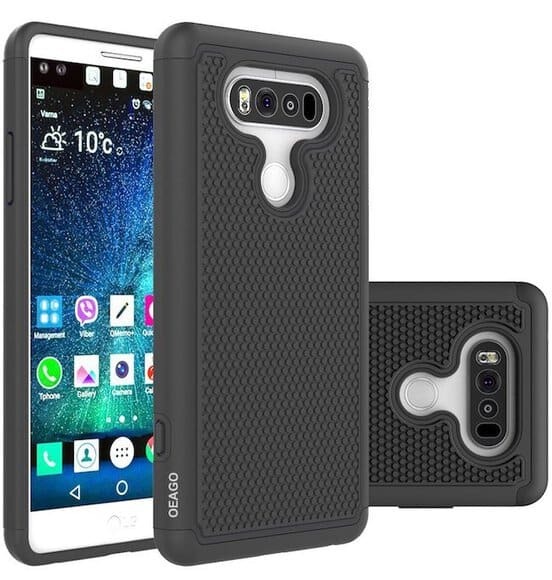 This case is specially designed for LG V20 and fits properly without adding too much bulk to your phone. The case provides two layers of protection and is shock absorbent. The outer shell is made of tough Polycarbonate and it has a soft Silicone inner layer which avoids any damage in the case of accidental falls. The case has offered precious cutouts, camera lens opening and provides full access to all ports and features. 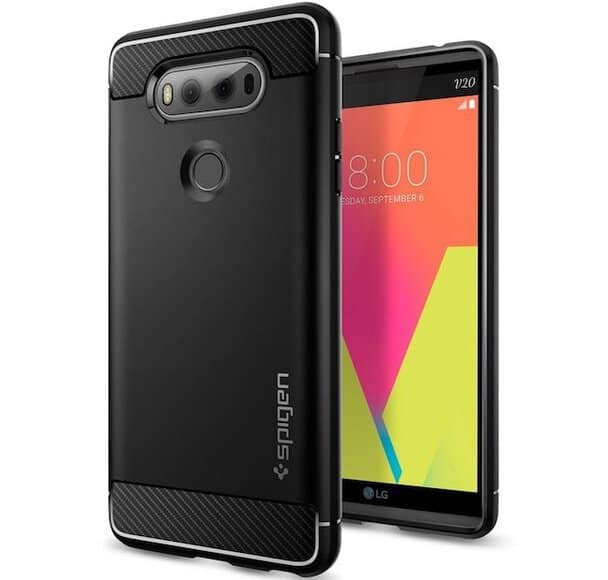 This stylish Spigen Rugged Armor LG V20 case is made of smooth black TPU shell and textured carbon fiber that gives a premium look and a glossy finish. The case provides opening to the circular fingerprint scanner and full access to the camera as well as all ports. The interior part is built with Air Cushion Technology for shock-absorption and spider web pattern to protect the phone from any accidental damage. This case has a simple and minimalistic design and offers military grade certified protection to your phone. The case includes dual layer protection of highly durable polycarbonate and TPU layers to keep your phone safe. The surface of the case doesn’t touch the screen that causes unwanted scratches. It packs a metal kickstand for hands free functioning and boasts nice cutouts to provide full access to features and ports. The Spigen Liquid Crystal case allows users to brag the beauty of their LG V20 and at the same time provides satisfactory protection as well. The case offers bevelled opening for fingerprint scanning and pronounced buttons to make sure fast response. The case is made of clear TPU which is flexible and avoid ugly scratches. The case has a slim profile and adds minimal bulk to your phone. 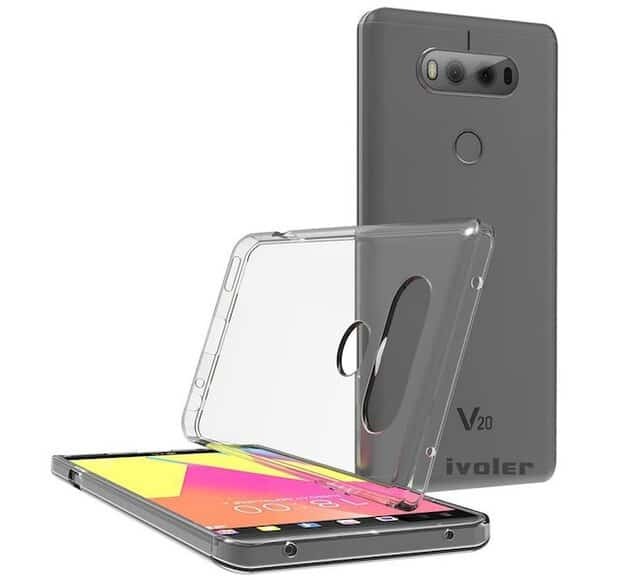 It is another transparent case that allows users to showcase their beautiful LG V20 and at the same time doesn’t compromise with the protection. The case is thin and light, but made of high quality TPU which keeps your phone safe from scratches and dust. The raised edges on the front doesn’t let the surface touch the screen and sensitive button covers enables a quick response. This case has a cute Teddy Bear design which looks really great and enhance the beauty of your phone. The case properly fits to the LG V20 and raised edges keeps scratches away from the mobile screen. It provides a good amount of protection and adds minimal bulk to the phone. The case has precise cutouts to provide full access to every port and feature such as camera and fingerprint scanner. This case has a flip cover design and is made of high quality artificial leather which feels smooth and provides a good amount of protection. The case housing is made of durable TPU so there is no fear of phone flipping out of the case. 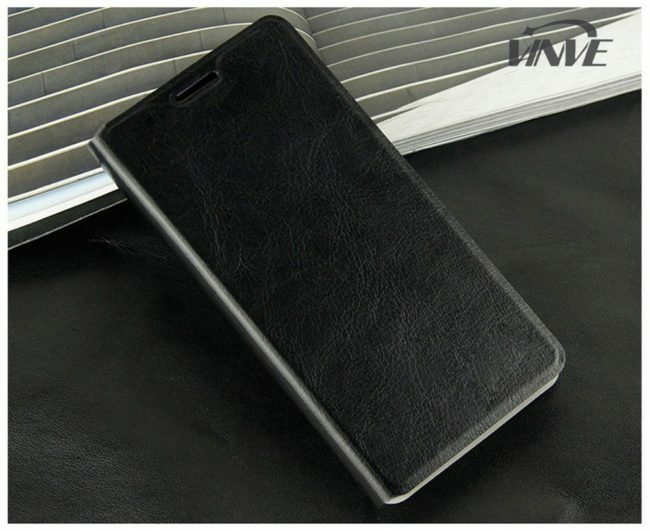 It has a soft interior to protect the screen of your phone from any unwanted scratches. The case can be used as a kickstand and includes precious cut-out to provide full access to every port and feature. 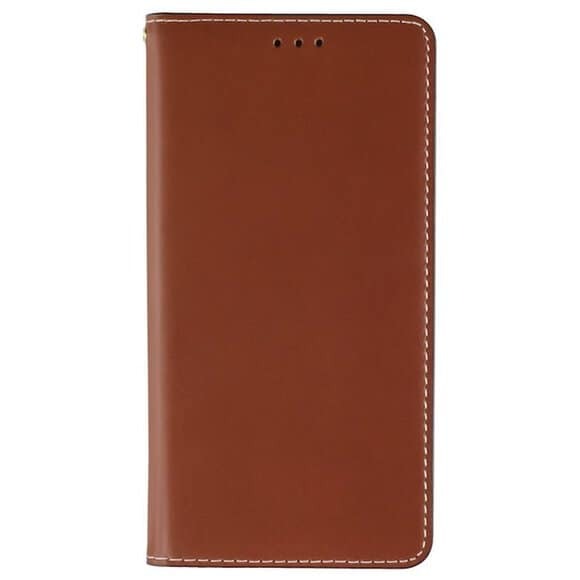 The case is beautifully hand crafted with top grain leather which looks so elegant and feels smooth in the hands. The case includes four built-in card slots so that you can keep your debit or credit card along with the phone and use it like a wallet. The case offers unique slide up functioning to use the camera in an easier way and offering two extra Magic Glue Stripes with the case on amazon. The case offers a slim fit design to keep up the natural look of your delicate V20. 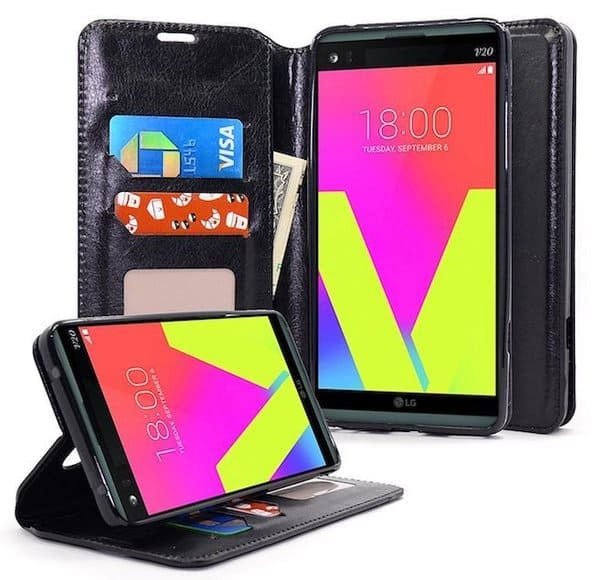 The case includes multiple pockets so that you can easily keep your debit card, credit card, ID proof or even some cash along with the phone and use it like a wallet. The case provides good protection to the screen and keeps it safe from scratches and dust. It can be used as a kickstand to watch movies as well. 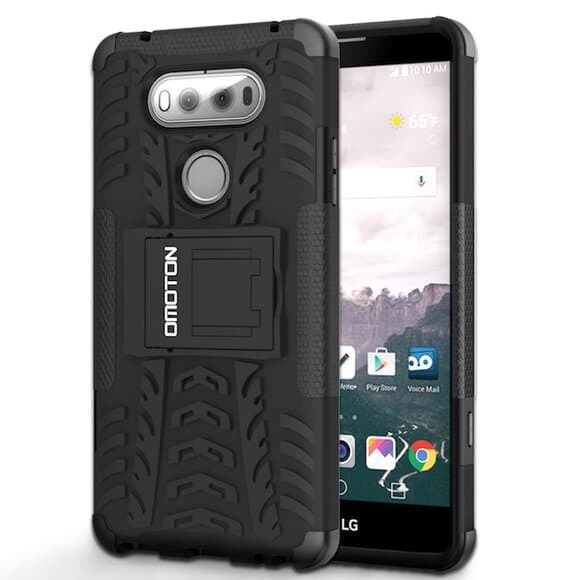 OMOTON LG V20 Case is specifically designed for V20 and that’s why it fits properly to the device, is easy to apply and remove and provides full access to all ports and features. The case includes polycarbonate outer shell and shock absorbent soft TPU interior with air cushion technology to protect the phone in the case of accidental drop and avoid unwanted damage. 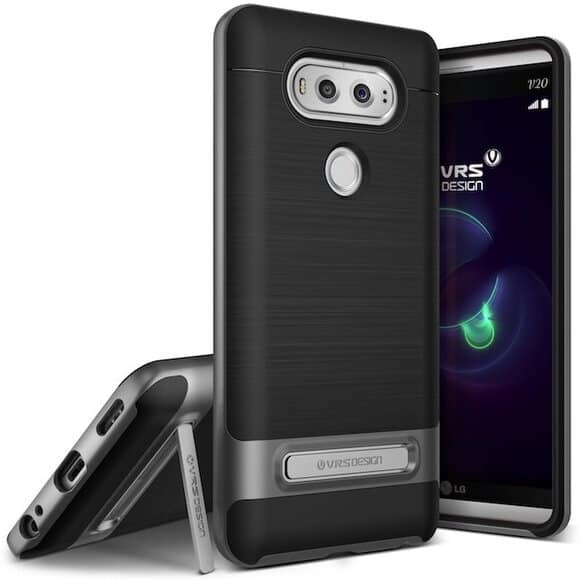 Hopefully the list of best LG V20 cases and covers we have provided will help you to find the case that suits your needs best. 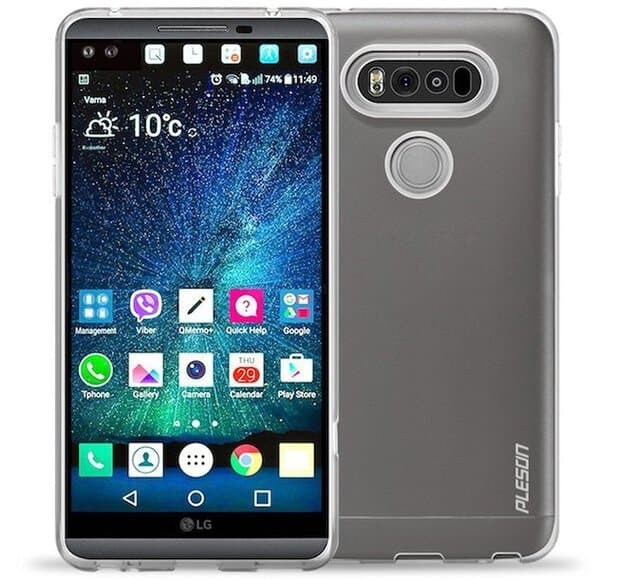 Feel free to share your experience about the above mentioned awesome LG V20 cases with us and do not hesitate to give your opinion too. Really need a case that doesn’t ship from China with a quality two-way kickstand. The one-way kickstands only do half the job.